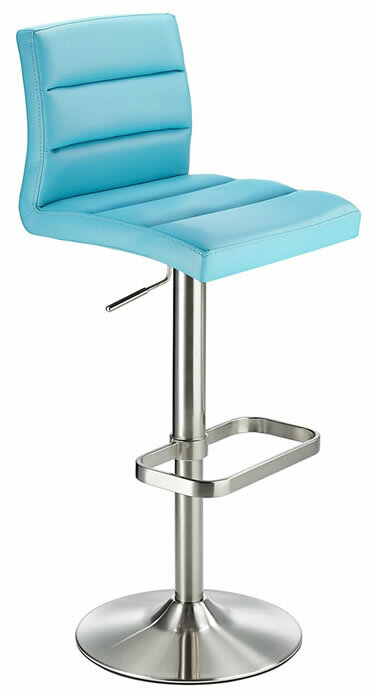 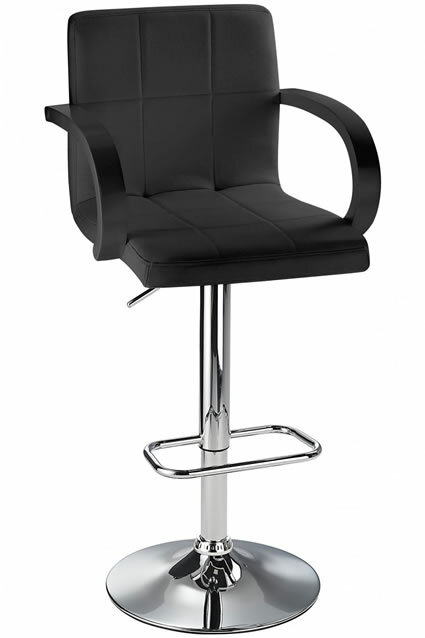 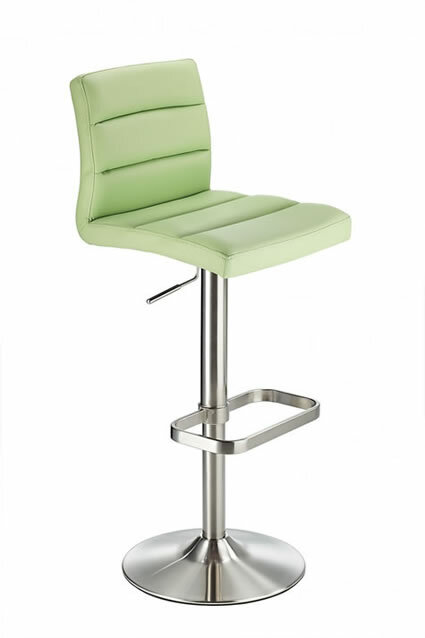 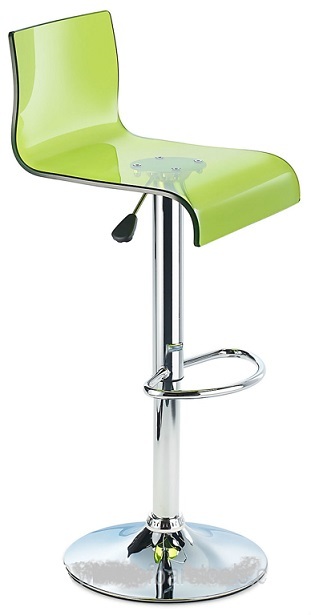 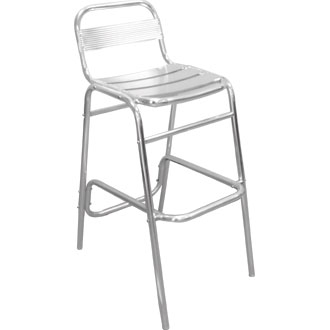 The sorompo has a stylish flat base and is fully height adjustable and has 360 swivel feature. 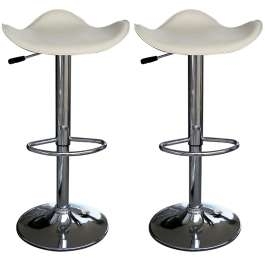 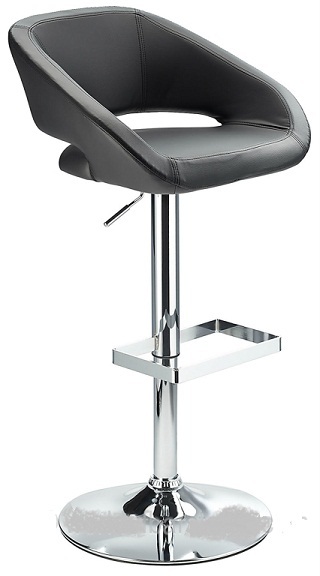 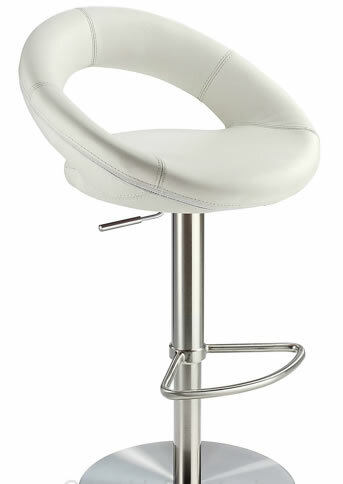 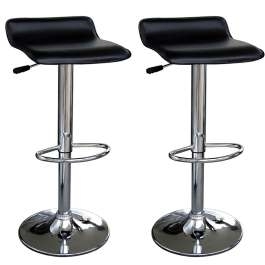 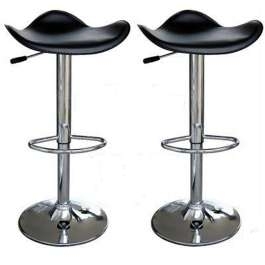 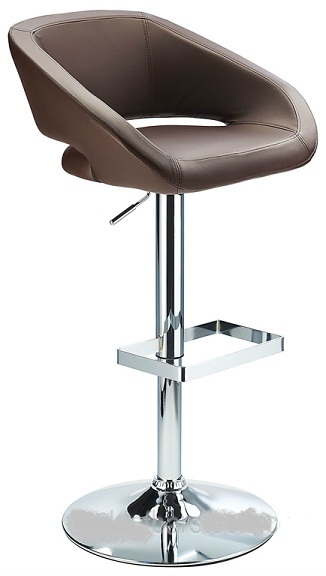 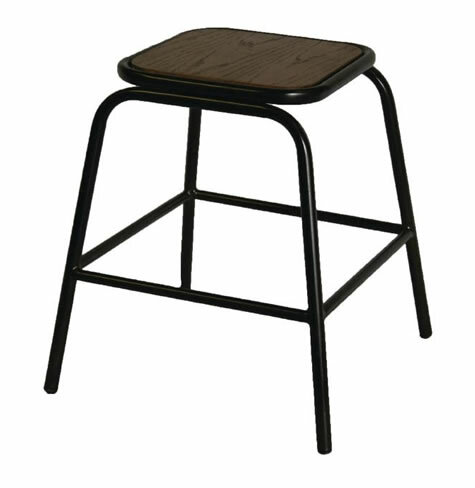 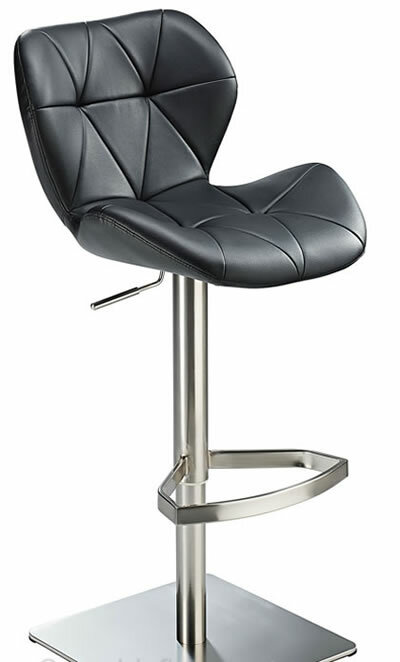 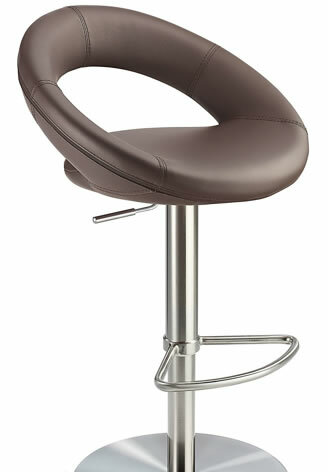 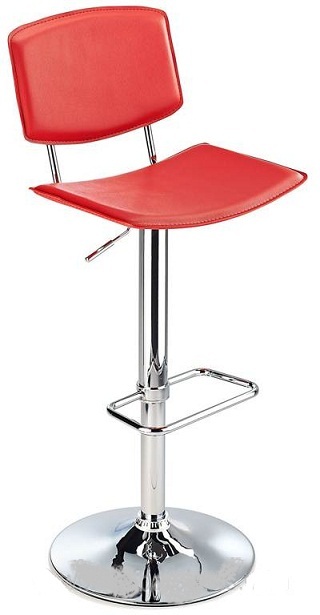 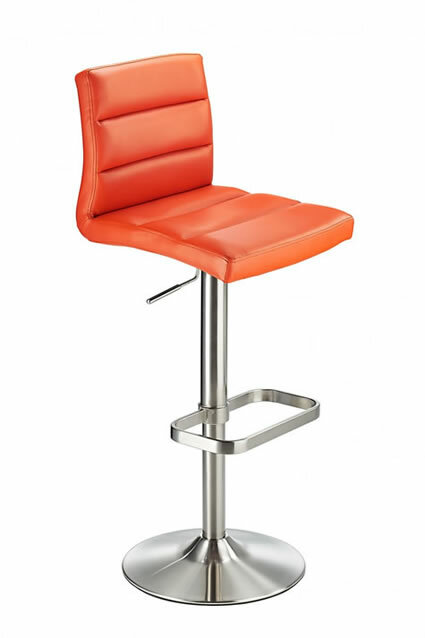 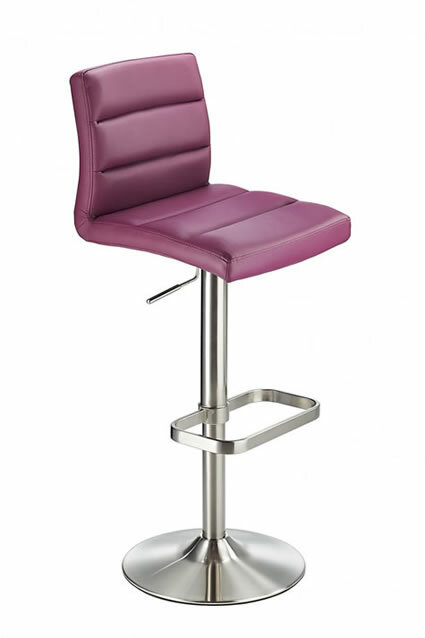 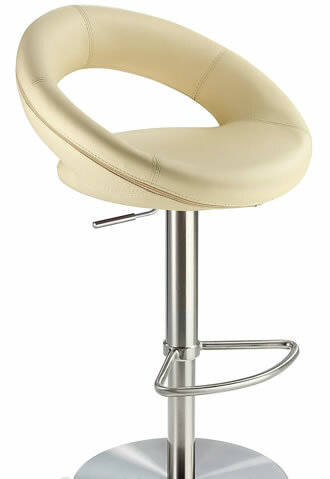 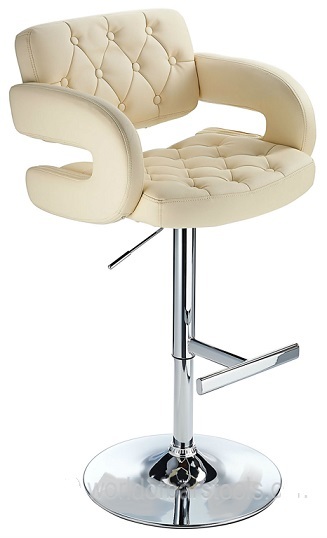 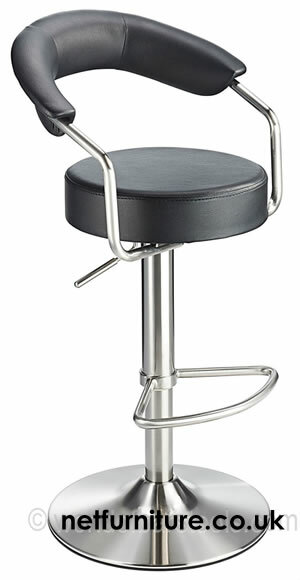 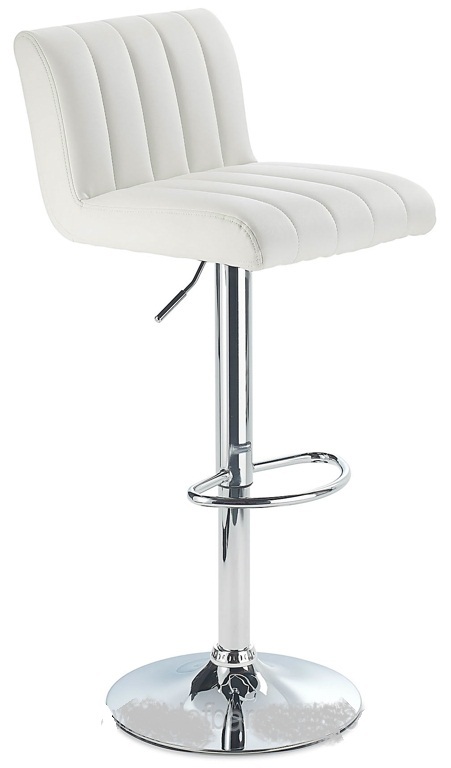 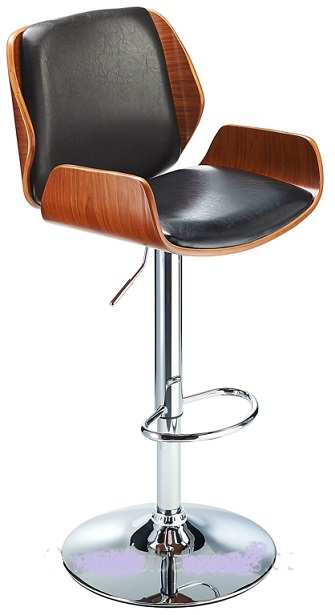 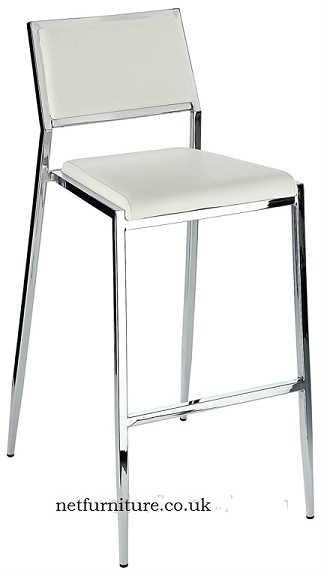 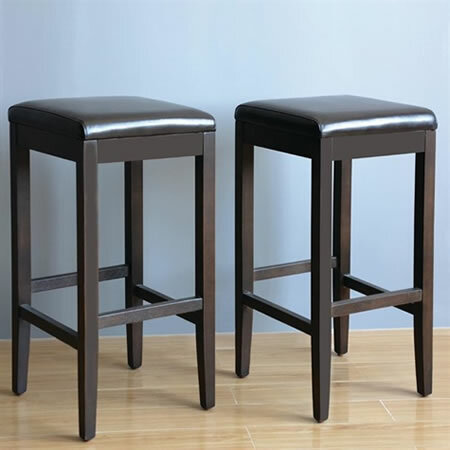 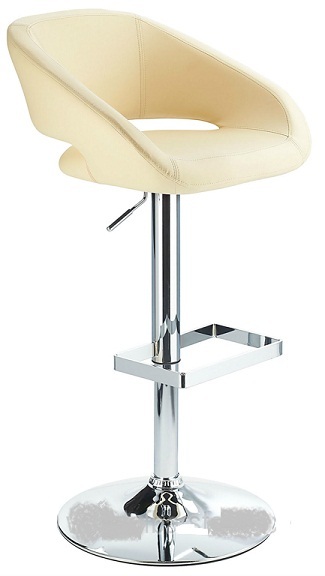 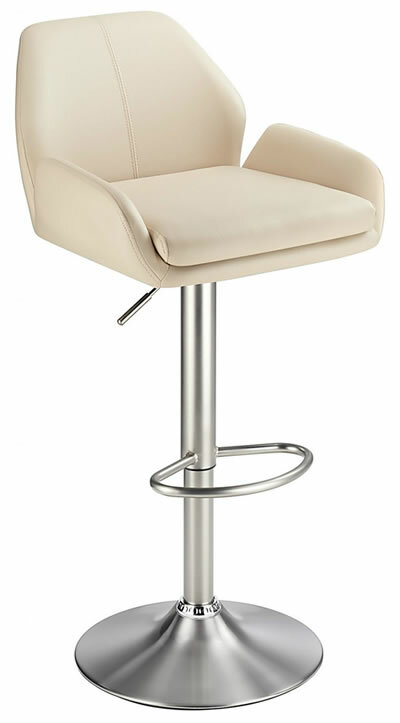 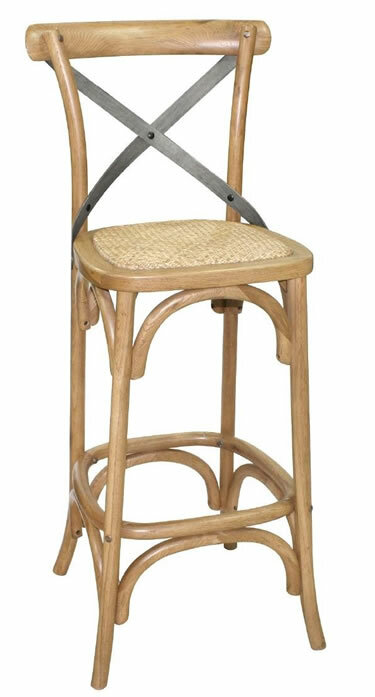 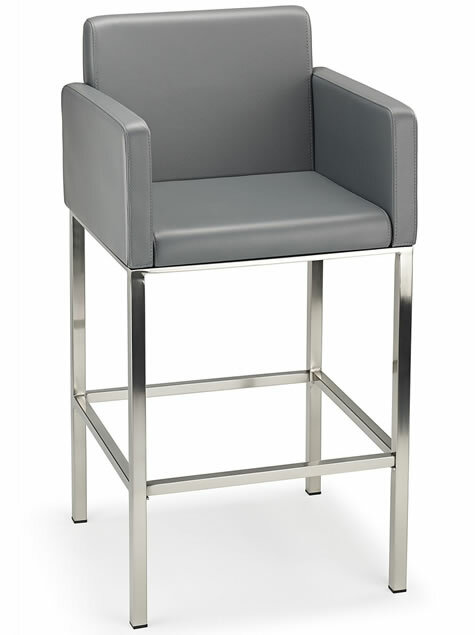 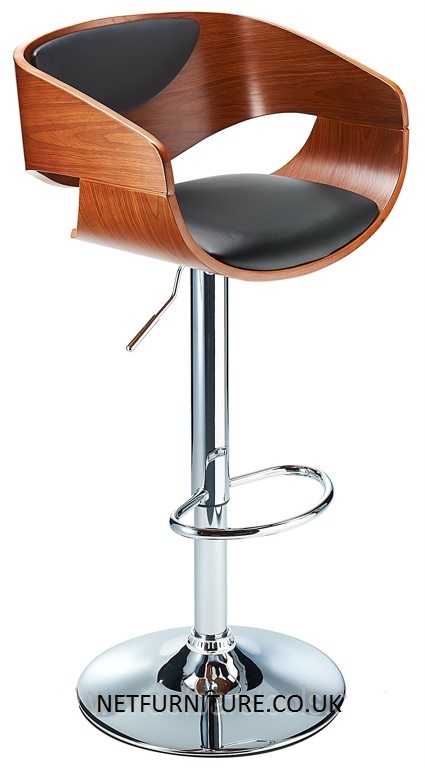 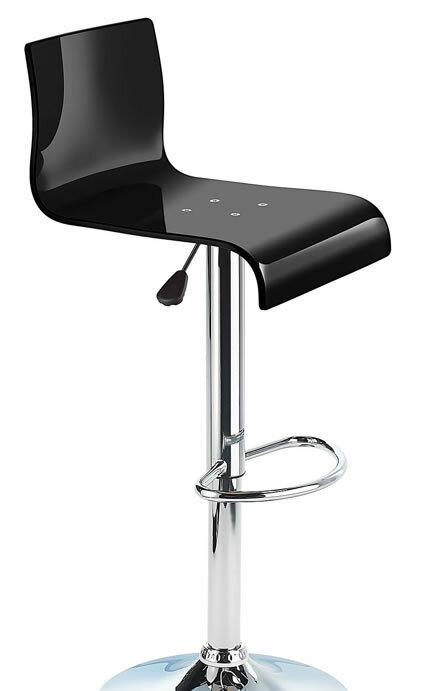 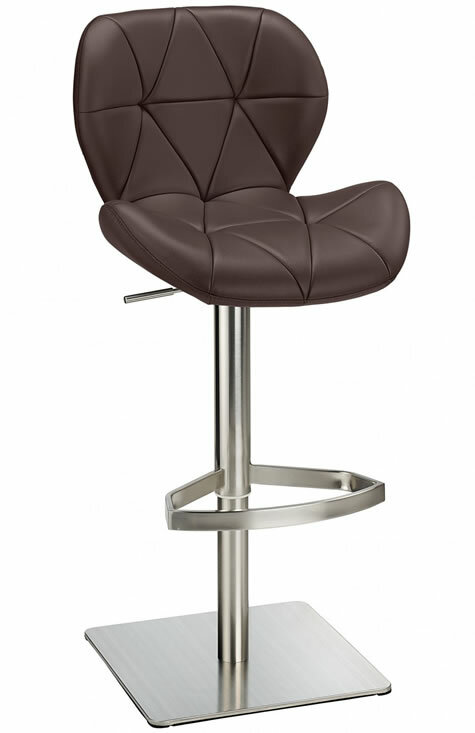 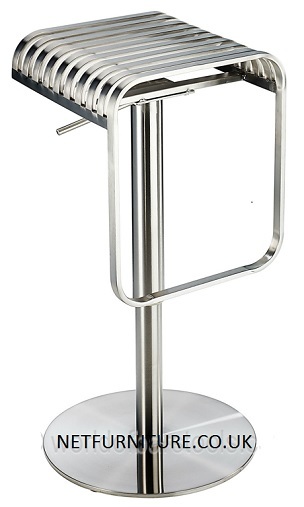 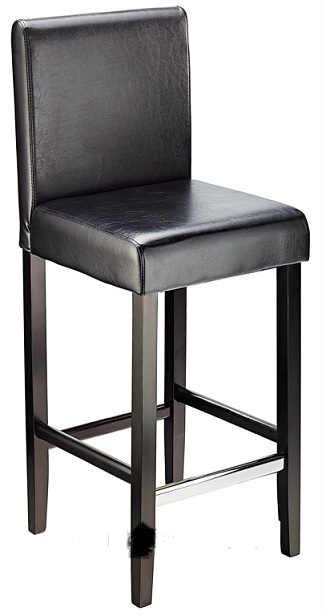 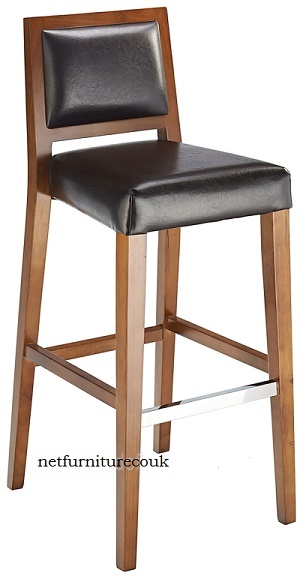 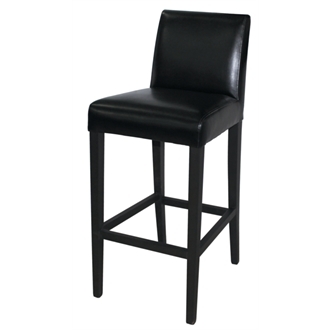 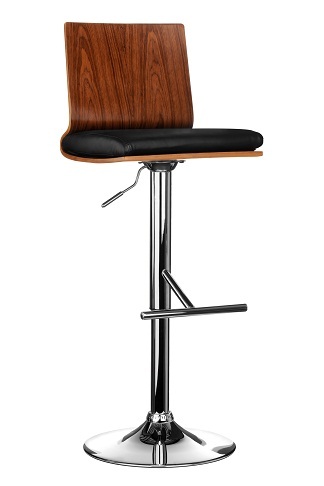 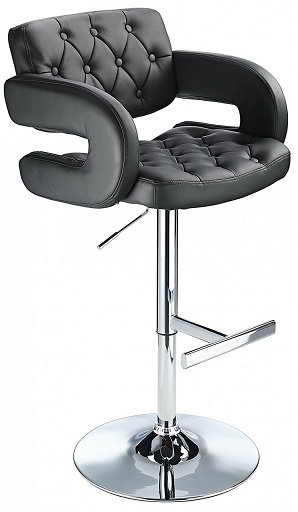 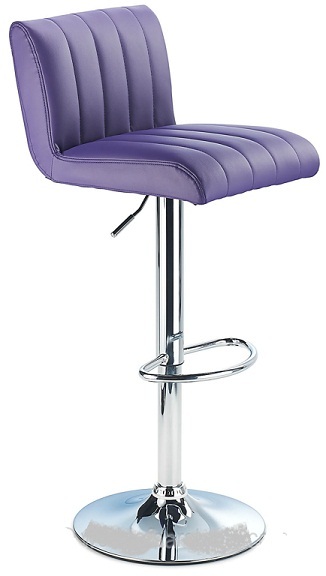 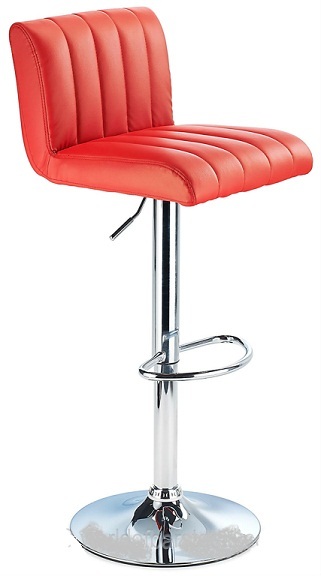 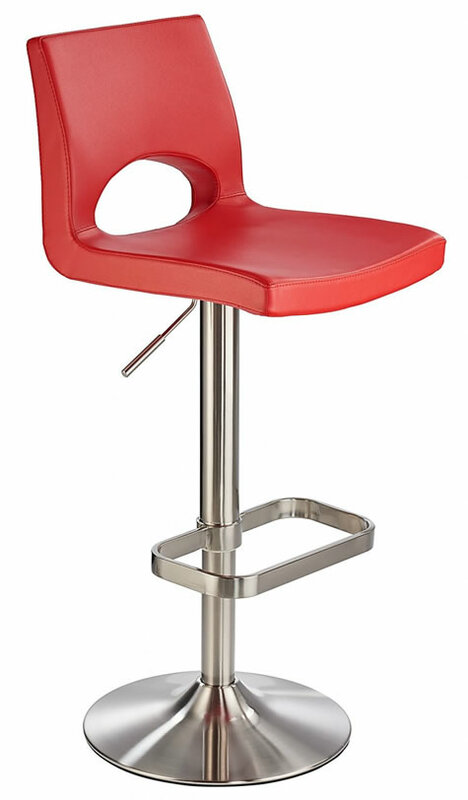 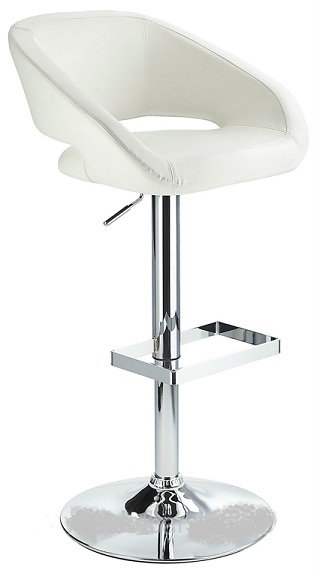 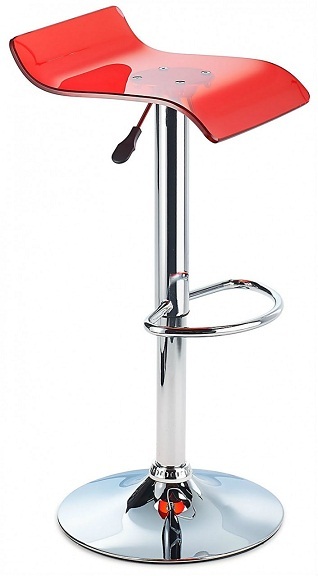 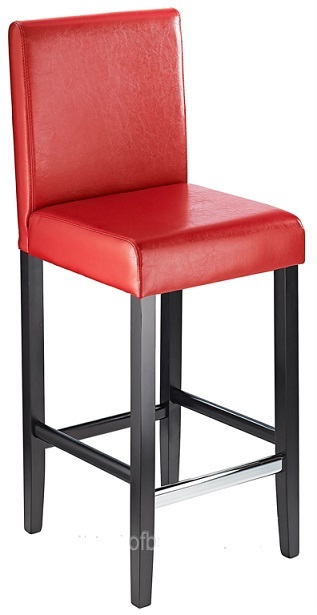 The Sorano real leather bar stool is available in black, white, brown, cream and red. 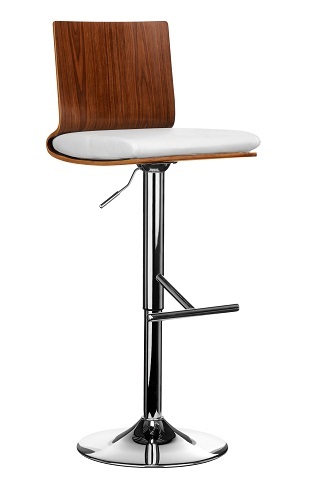 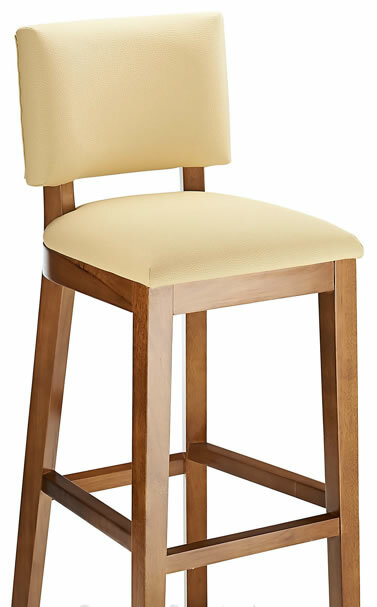 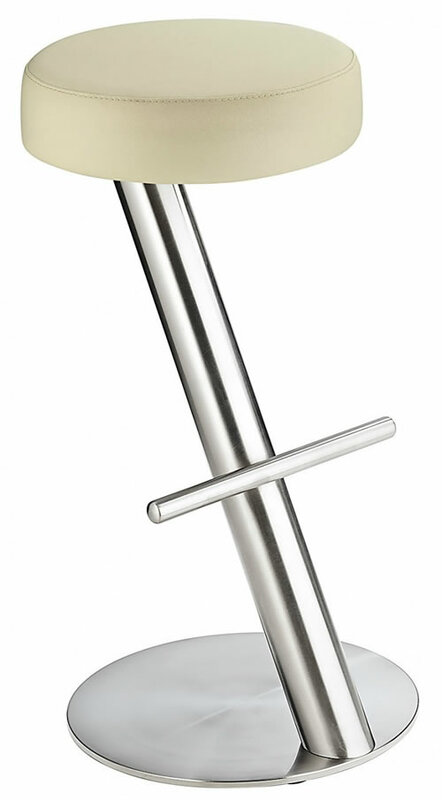 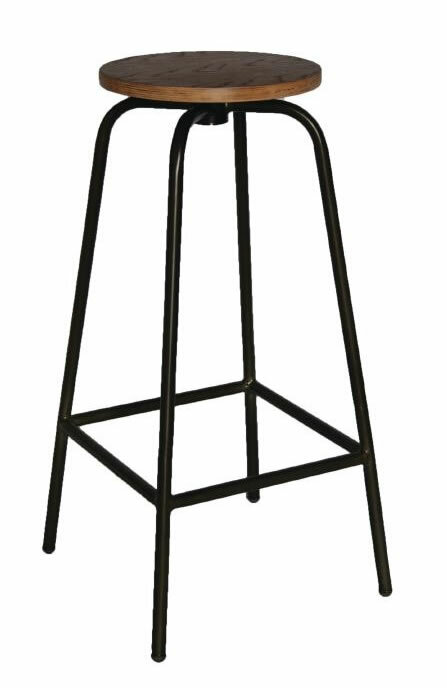 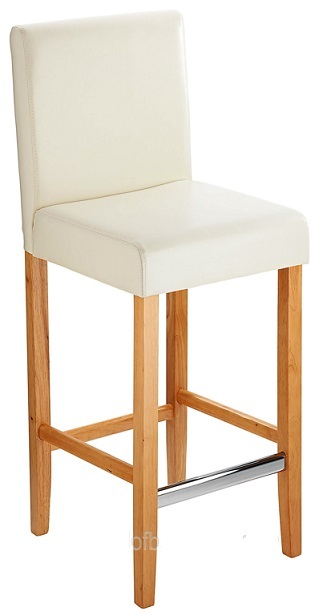 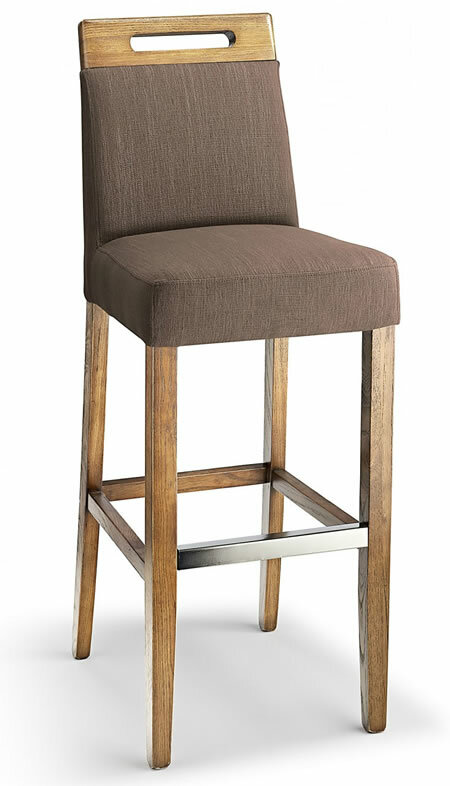 This bar stool is an exercise in elegant simplicity: less is more. 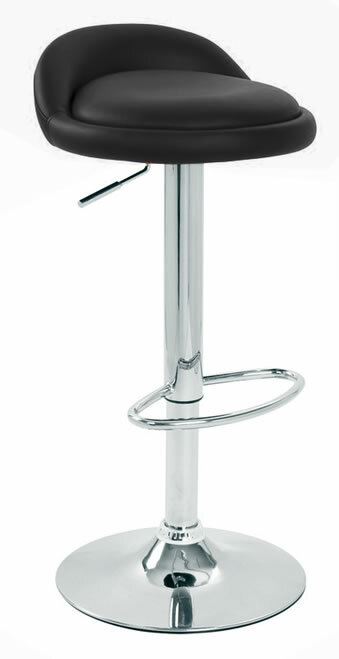 The steel central column sits at an angle to the circular steel baseplate and a crossbar forms a beautifully understated footrest. 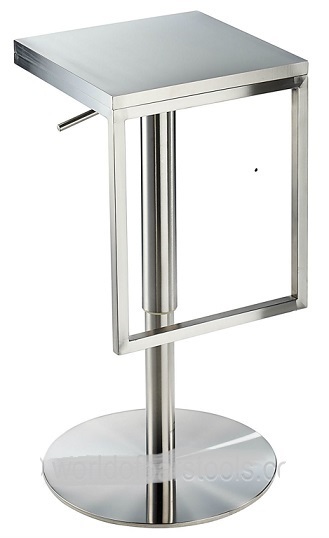 The brushed steel is not just functional, although it does resist scratches and is easily cleaned, it is also supremely elegant, crisp, modern and will look stunning well into the future. Footplugs help protect the floor from scratches and a comfortable padded cushion provides all the support you could ever want.